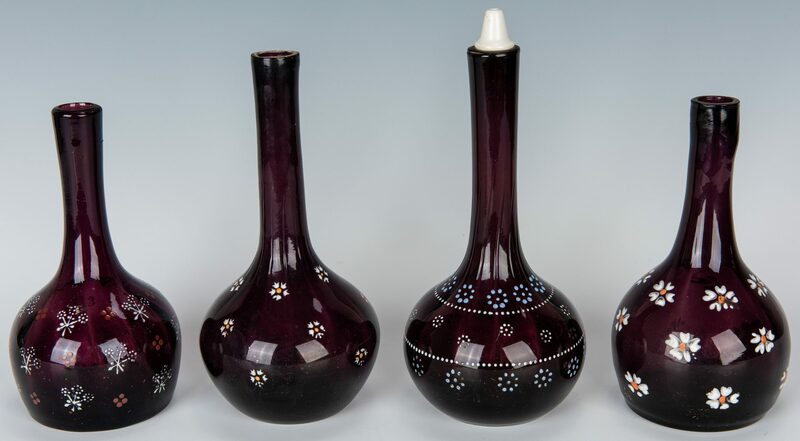 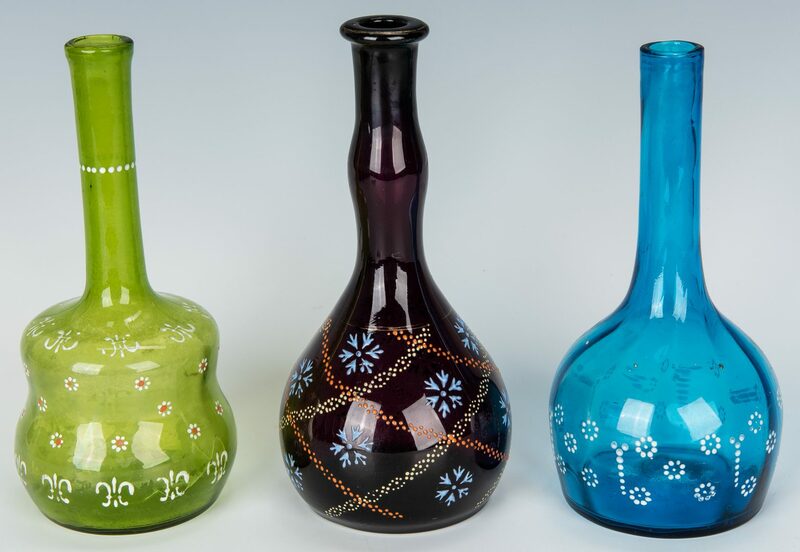 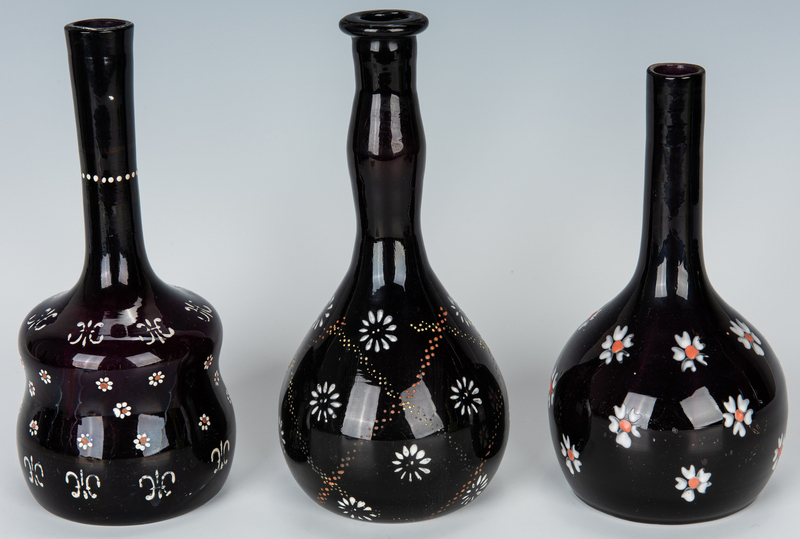 Group of ten (10) glass barber bottles with floral enameled decoration including four (4) amethyst bottles, four (4) black amethyst glass bottles, one (1) light green bottle, and one (1) aqua bottle. 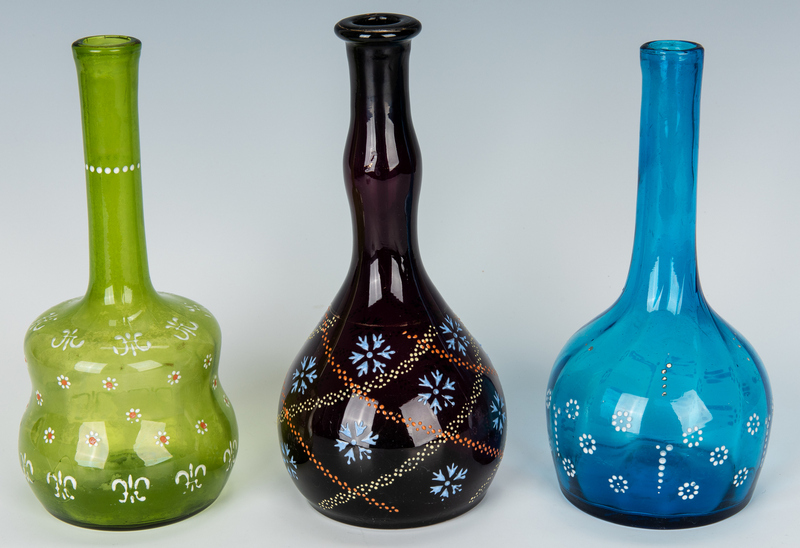 Ranging in size from 6 3/4" H x 8 3/4" H. Late 19th/early 20th century. Provenance: The collection of internationally known ragtime pianist and historian Johnny Maddox, Gallatin, TN. 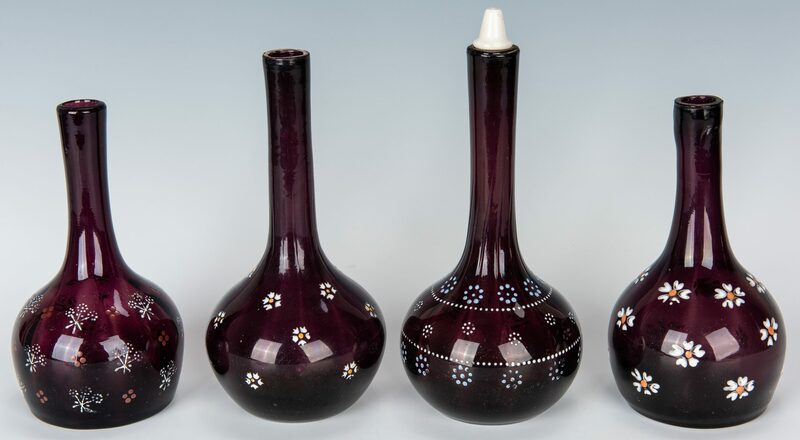 CONDITION: One amethyst bottle with wear to spout. 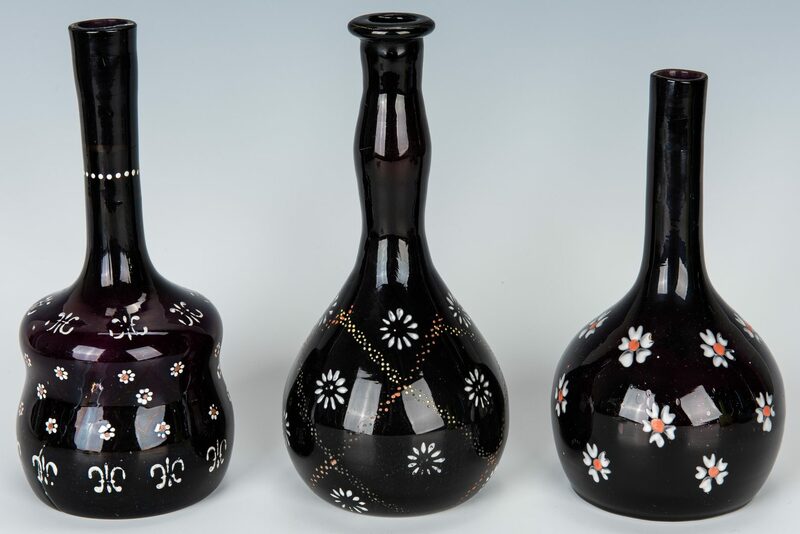 All overall very good condition with light general wear.